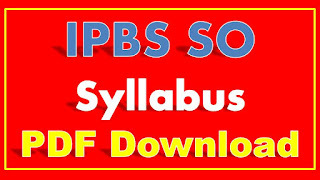 IBPS SO Syllabus 2017 PDF: HI Friends this post we are sharing to you Institute of banking Personal selection Specialist Officer 2017 Prelims and Mains Exam Syllabus PDF Free Download. Recently IBPS Recruitment Board has released the notification for filling the SO Officers (I.T. Officer (Scale-I), Agricultural Field Officer (Scale I), Rajbhasha Adhikari (Scale I), Law Officer (Scale I), HR/Personnel Officer (Scale I), Marketing Officer (Scale I)). This year IBPS CPR SPL Filing Total 1315 Jobs all over in India. Below this post having complete information about the IBPS SO Recruitment 2017-2018 like as Age Limit, Educational Qualification, Important Dates, Exam Syllabus, Admit Card Release Date. Etc. This is the Seventh (VII) Recruitment notification Released by the IBPS. IBPS CPR SPL 2017-18 having 1315 posts all over in India total six Categories’. All post wise community wise vacancy list mentioned below tabular from. This year 2017 IBPS SO IT Officer having 120 posts National Wide. In Written Test Common syllabus for the Information Technology Officer, Agriculture Field Officer, HR/Personnel Officer and Marketing Officer. 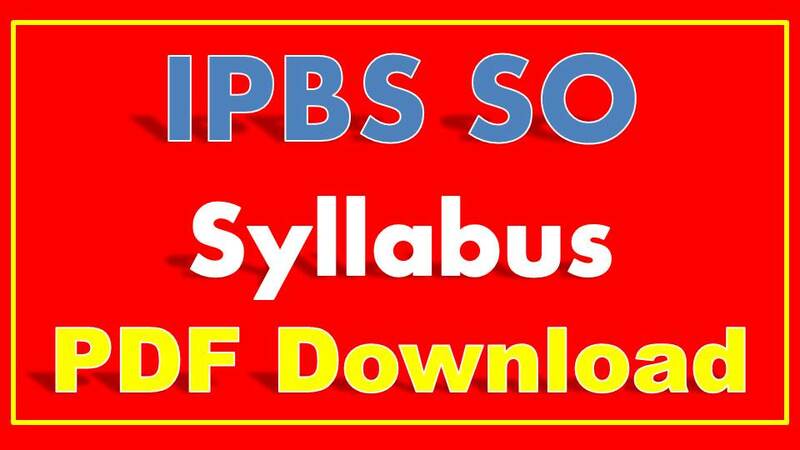 IBPS Specialist Officer Prelims and Mains Online Test Syllabus are same. IBPS SO IT Officer Exam Pattern: For IT Officers Exam Pattern for the IBPS CRP SPL VII is Preliminary and Mains Exams. Those candidates who are successfully cleared these two tests have Document verification and personal interview. Social Responsibility and Business Ethics. It would be advisable to go through the GK updates of at least last 3 - 4 months. Bankers Book Evidence Act, DRT Act. Relevant laws and orders related to negotiable instruments, securities, Foreign Exchange. Human Resource Development: Strategies and Systems. Business policy and strategic analysis. a) 4 year Engg/ Technology Degree in Computer Science/ Computer Applications (CA)/ Information Technology (IT)/ Electronics/ Electronics & Telecommunications/ Electronics & Communication/ Electronics & Instrumentation. Post graduate degree in Sanskrit with English and Hindi as subjects at the degree (graduation) level.